A prototype is defined as ‘an original model on which something is patterned’. A prototype circuit board is a working model of a printed circuit board (PCB) that has been created especially to check the functionality of the final PCB. A prototype can be created prior to a small as well as large-volume production requirement. In some cases, prototyping is also carried out for a single PCB requirement. Why is a prototype needed? Just as a circuit diagram of a PCB cannot serve as an effective base for manufacturing of the final product, it is imperative to first turn the diagram into an actual PCB and check its feasibility. Once the feasibility has been established and improvements have been analyzed, the actual working model can be manufactured. Once a prototype has been manufactured and tested, there are very few hurdles in the actual PCB manufacturing process. With a prototype, the customer gets a clear idea of how their end product would function. Risks and weak points, if any, can be easily identified at an early stage. Once a product goes into production, making changes to the product becomes very costly and time consuming; especially when large volume production is involved. Typically, production doesn\’t begin until the prototype circuit board has been approved by the customer. There are several different types of PCBs that can be prototyped before they are put into production. These include single or multi-layer PCBs, flex or rigid PCBs, PCBs with IMS insulated metal substrate, and PF Rogers PCB. Prototyping can also be carried out for Flexible printed circuits (FPCs) which are used in several different applications. There are different types of FPCs such as single-sided FPC, dual access FPC, double-sided FPC and multilayer FPC. Most PCB manufacturers offer prototyping services.. They will likely provide customers with several packages from which they can choose. A few manufacturers also give add-on services such as electrical testing and standard tooling for free. Such firms should be preferred as these free services give added value. It typically takes a couple of days to manufacture prototype circuit boards. Experts recommend choosing a firm that specializes in PCB manufacturing and has a proven track record in the field. Before finalizing a prototyping project, ask the firm to provide some samples or references of their previous projects. 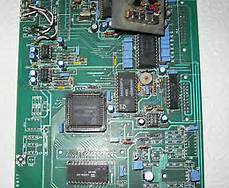 Many firms also provide services to tweak and improve your existing prototype circuit board for better results. Article Source: ArticleBase by Author Michael Brown . Being a professional writer I am always writing articles about industrial products and technology. Prototype Circuit Board are very much in demand across the world for various purpose. Read my article to know about advantages of PCB prototyping services.